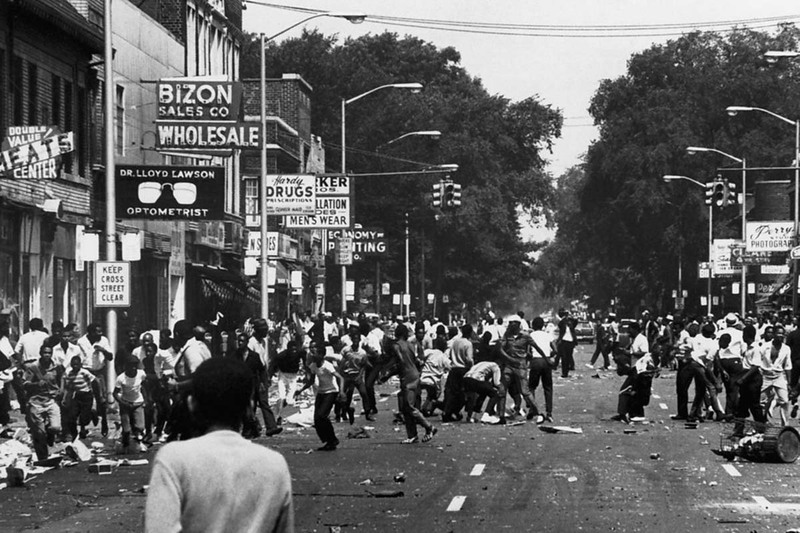 A Bridge Magazine-linked documentary that recounts the devastating 1967 Detroit civil disturbances continues to sell out theaters and will hit the small screen this summer. The film, “12th and Clairmount,” was produced by the Detroit Free Press in collaboration with Bridge and WXYZ-TV. The film debuted in March and additional showings have been added in response to public demand. Recently added screenings have sold out quickly, but tickets were still available as of Tuesday for a 7:15 p.m. show June 3 at the Michigan Theater in Ann Arbor as part of the Cinetopia Film Festival. Tickets cost $12, or $9 for members of the festival's partner organizations. Additional screenings will soon be announced, and the film also will be broadcast on WXYZ this summer closer to the 50th anniversary of the uprising that began July 23, 1967. Panel discussions follow each show with the filmmaking team, including the director, Brian Kaufman, executive video producer at the Free Press, and co-producer and writer Bill McGraw, who recently retired from Bridge Magazine. The film relates the story of the 1967 uprising, from the racism that led to the first clash with police to the deaths of 43 people, injuries and arrests of thousands of others, and the worst destruction of neighborhoods of any uprising happening nationwide during that violent summer. The documentary is told primarily using historical interviews with white and black residents, old media footage and vintage home videos, along with some current illustrations. The film is named for the intersection in Detroit where the unrest began – 12th Street and Clairmount Avenue – in response to a police raid and arrests of black residents at an after-hours speakeasy known as a blind pig. McGraw, an expert on Detroit history, said there are a few reasons the documentary has caught on with the public. “Many people have no memories of 50 years ago, or faulty memories, and this movie takes them right back there,” McGraw said. McGraw wrote several articles last year for Bridge and the Detroit Journalism Cooperative leading to the 50th anniversary of the events some call a riot and others, a rebellion. Among other articles, McGraw hauntingly recounted what happened to the family of the man believed to have thrown the first bottle that sparked the violence. That article and several others by Bridge and its reporting partners at the DJC is included in “The Intersection: What Detroit has gained, and lost, 50 years after the uprisings of 1967,” a book based on a yearlong investigation into the social and economic conditions in Detroit that led to the violence. The book examines to what extent those same conditions exist today. The Detroit Journalism Cooperative consists of Bridge, Detroit Public Television, WDET Detroit Public Radio, Michigan Radio, Chalkbeat Detroit, and five ethnic publications of New Michigan Media: The Arab American News, Latino Press, The Jewish News, MI Asian and The Michigan Chronicle. Is "uprising" a new term to describe what happened? I had always heard it referred to in the past as "riot"
I am looking forward to seeing this documentary. Thanks for all the links to more good reads.